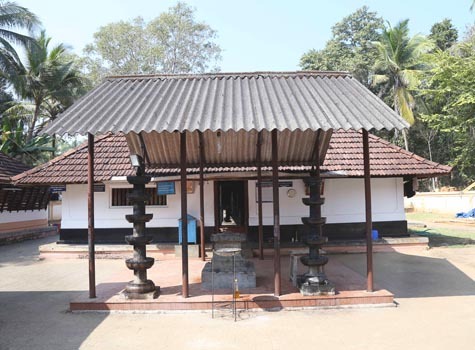 Situated in Keezhattur Village, coming under Perinthalmanna Taluk of Malappuram District, Kerala, Sree Muthukurussikkavu Ayyappa Temple is one of the most ancient Sastha Temples in the old Valluvanad Taluk. The temple is believed to be old by about 1700 years or more, as per the “Devaprasnas” conducted in the temple. It is believed that in olden times, the place where the temple stands now was a desolate jungle area and a local king was residing about 1 km from the place. The diety was worshipped by that royal family for long time then. The place is still known as “Kovilakathody”, meaning the compound of Kovilakam. However, clashes between the local kings and royal families led to the ruin of the local kingdom and the temple was abandoned and later demolished and lost in oblivion. 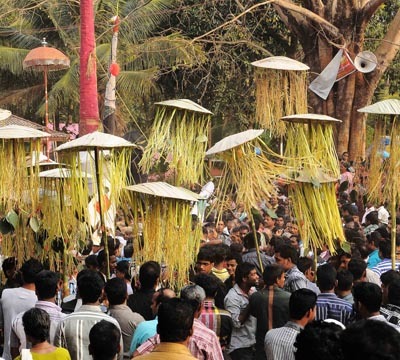 The important festival of the temple starts on Vrischika 1st (mid November) with “Kooraidal”, ie., decorating the pattupura top at the south vathilmadam with black pattu and yellow cotton. Kalampattu is performed everyday with uchappattu in the morning and kalampattu at night starting with that for Bhagavathy on the first day and Ayyappan on the next day. 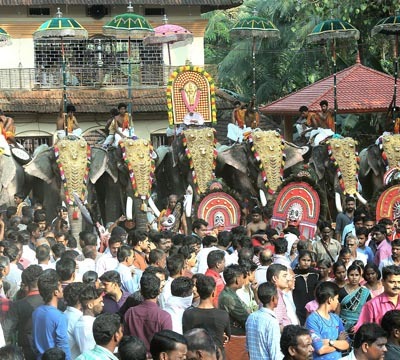 This goes on with more pattu for Ayyappan till the Mandala thalappoli falling on the last Friday and Saturday of Dhanu (Mid January), the thalappoli to Bhagavathy being on Friday and that for Ayyappan on next day, ie., Saturday. There is no other temple in the nearby area where there much kalampattu is performed for Ayyappan. 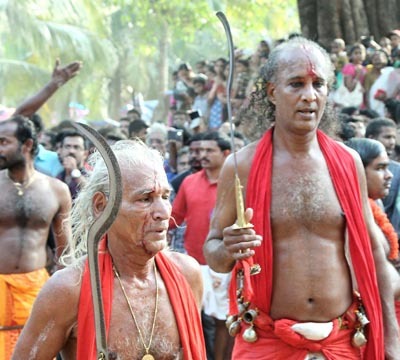 Suddhikriyas (purification rituals) starts on next Thrusday every year ending with 25 Kalasam on Friday and Udayasthamana pooja, Kalabhabhishekam and Namaskaram on the first Saturday of Makaram. On Makara Samkrama day, special Abhishekams are made on the idol of Ayyappa using pure ghee, milk, rose-water, panchamritham and holy ash prepared from cowdung. Prathishtadina of Ayyappa is Uthram star day of Mithuna and that of Bhagavathy is Uthradam of Chingam.